This week has been off the hook. I have been behind with posts lately as this week has been crazy. Business has been good, but the month didn't quite turn out as well has we had hoped, but it was enough to cause a few later than usual nights. We also had a renter move out that had left the house a mess and we had a lot of cleaning and repairs to do. We completed the finishing touches yesterday and the new tenant moved in today. To top it all off, I have been sick as a dog all week, but today my phaser power is at about 85 percent. 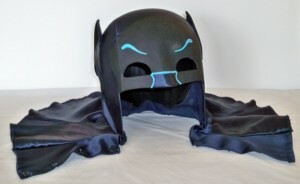 So after an exhausting, but successful week I have finally ordered my Adam West Batman TV series replica Batman cowl. After researching the 1966 Batman Message Board I have been putting together the resources of where I can get each of the components of a full replica of the costume worn by Adam West on the Batman TV series. After talking to other cosplayers and from what I have read on the 1966 Batman Message Board, Chuck and Lynne Williams are the best cowl makers in the business, but I decided to go with fellow Bat-Fan Will Reeb's awesome creations for my first cowl. From what I found Will's cowls are a close second to Chuck's and Lynne's cowls and fit better into my budget. 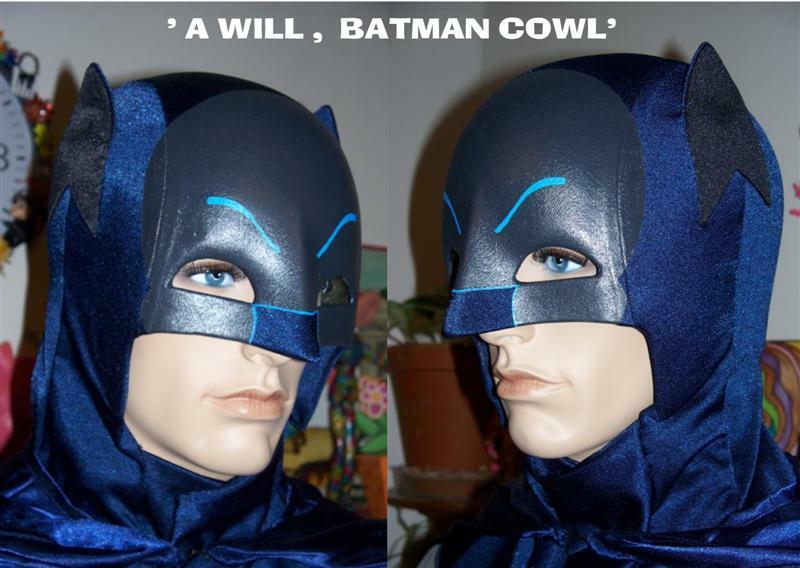 Most say Will could get just as much for his cowls as the Williams' do, but currently you can get one from him for $350. I have also recently joined the non-profit organization, Justice League of Las Vegas. Justice League of Las Vegas cosplayers promote literacy through the reading of comic books and personal appearances in costume of their favorite comic book characters. The group also does appearances for other charities as needed. I am very excited to be a part of this amazing group and will be donning my cape and cowl as soon as it is complete to support this great organization. Soon I will be knocking out each piece of the costume one by one and will keep you in the loop of it's progress. I am hoping to have it complete by the end of September. After that I will be on hunt for more Batman screen accurate costumes from the Batman movies. Stay tuned. JBoy- I am very excited. Next up...my utility belt.